DreamHack summer 2012 has come to an end. 8 teams for main tournament and 22 for BYOC Qualifier signed up and after today's finals, the Swede team of Fnatic was crowned as the champions securing their place for DreamHack Winter 2012 which will take place from 28th November to 1st December. The grand final was played on 3 maps: de_dust2, de_train and de_mirage. 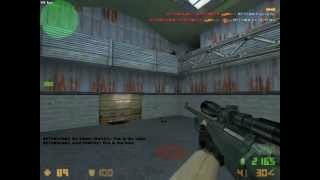 Fist match was played on de_dust2 where fnatic played on CT side and took the first 3 rounds. Natus Vincere scored several rounds in a row and went for a tie with 4-4. Na`Vi played very stable during the whole half and gave Fnatic chance to win only 2 rounds. The half ended 9-6 in Natus Vincere's favor. In the second half they switched the sides - now fnatic were on the terrorist one. They moved to a higher gear and won 5 straight rounds, taking the lead with 11-9. Na`Vi evened the score at 11-11 but fnatic were too strong and won the rest of the remaining rounds to win the map with 16-11.
de_train was the map of the second match, fnatic once again playing on CT site and winning the first 2 rounds. In the 3rd round Na`Vi planted the bomb and won their 1 round of this map. The teams evened the scores to 3-3 and it was time for Natus Vincere to switch to a higher gear, winning 6 rounds in row and taking the lead with 9-3 in their favor. Two players of fnatic bought an AWP and scored 3 rounds in a row but that wasn't enough and they lost the half with 9-6. In the second half Na`Vi got off to a solid start, putting themselves ahead of fnatic by 4 rounds. No matter how hard fnatic tried, it was not enough to stop Na`Vi from taking the match into a third map at 16-7. The final map was de_mirage, fnatic opened up by securing the first 3 rounds. Both teams offered some great following rounds but fnatic got the better of Natus Vincere and won the half with 11-4. In second half they switched sides, however fnatic once again came out strong and Na`Vi tried to fight back into the game, unfortunately they didn't seem to have the energy to beat fnatic's pixel perfect aiming and tactic skills. Struggling to find an answer to fnatic's playstyle, Na`Vi simply couldn't keep up the fight and lost the final map with a total score of 16-7. Click here to find out what positions are available.